It happens to everyone, that moment you realize that it is time to do something about your weight. Your first thought might be to go on a diet. However, as quickly as that enters your mind, the ghosts of a hundred failed past diets return along with all the frustrations from them. The answer alone is not to go on panic diet; the answer is to maintain an active and healthy lifestyle. One way to accomplish this is to insert regular Pilates exercises into your physical activities. Weight loss through Pilates can be achieved. Thanks to it focusing on major muscle groups, Pilates is a perfect weight loss regimen even though it is a low intensity exercise. All types of people are successful achieving weight loss through Pilates because they become more aware of their bodies through the exercises while building muscle. Better body awareness results in better food choices and healthier living. 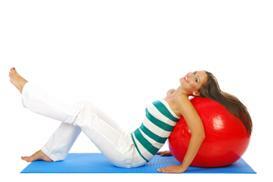 By joining Pilates classes in Foxboro, MA, you will be able to trim and tone your body. You will develop muscles and muscle mass, which helps your metabolism work faster and more efficiently. Pilates classes allow you to slowly embrace simple, small changes which will add up to big improvements in your lifestyle.